AŞAĞIDA KİŞİSEL BİLGİLERİ VERİLMİŞ OLAN KİŞİ İLE İGİLİ SORULARA DÜZGÜN CEVAPPLAR VERİNİZ. j. Jogging, dancing, surfing, reading, watching, TV, photography. k. I know this job is very important. People usually learn news from reporters. I can do this job because I’m passionate and my life is regular.I always wake up early, read the papers and go to work. I’m never late. I often work extra hours. I’m also sociable and good at communciation. After work, I drink something with friends and relax. I go jogging and dancing. So, I’m ready for the next day. 2) MARIA VE LISA ARASINDAKİ DİALOGDA BAZI BOŞLUKLAR VAR ONLARI TAMAMLAYINIZ. **Finally insert the money. ** It’s complicated. **At 06:00 pm. **Lisa, help me, please. I can’t use this ticket machine. **Sure. Don’t worry about me. Bye for now. Lisa : Oh, dear. First, choose the destination. Lisa : Then, the time. Lisa : First class or second class? Maria : Of course second. Maria : All right. Oh, look! Here is the ticket. Lisa : Can you find your seat? 3) AŞAĞIDA BÜYÜK ÖNDER GAZİ MUSTAFA KEMAL ATATÜRK İLE İLGİLİ PARÇADA BİR TAKIM EKSİKLİKLER VARDIR TAMAMLAYINIZ. e. on “23rd April, 1920”. 4) TAG QUESTION SORULARINI TAMAMLAYINIZ. 1.Mr. DEMİRAL is very angry today, __________________? 2.I am your boss, _____________? 3.This school is very boring, ________________? CUSTOMER:Hmmm! I am very hungry.I will have some soup. WAITER:OK sir! What would you like as a main course? CUSTOMER:I would like to drink mineral water. --Do you have any Lobster? --Welcome sir! What would you like as a starter? --OK then I would like to have fish. --OK then what would you like to drink? Cem Veb Ofset Yayınları 11. 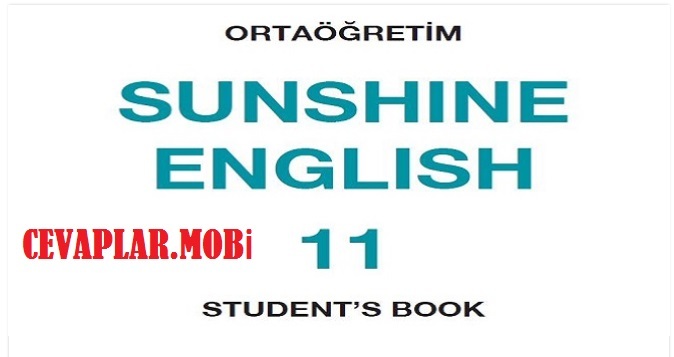 Sınıf İngilizce Ders Kitabı Cevapları sayfa 1, 2, 3, 4, 5, 6, 7, 8, 9, 10, 11, 12, 13, 14, 15, 16, 17, 18, 19, 20, 21, 22, 23, 24, 25, 26, 27, 28, 29, 30, 31, 32, 33, 34, 35, 36, 37, 38, 39, 40, 41, 42, 43, 44, 45, 46, 47, 48, 49, 50, 51, 52, 53, 54, 55, 56, 57, 58, 59, 60, 61, 62, 63, 64, 65, 66, 67, 68, 69, 70, 71, 72, 73, 74, 75, 76, 77, 78, 79, 80, 81, 82, 83, 84, 85, 86, 87, 88, 89, 90, 91, 92, 93, 94, 95, 96, 97, 98, 99, 100, 101, 102, 103, 104, 105, 106, 107, 108, 109, 110, 111, 112, 113, 114, 115, 116, 117, 118, 119, 120, 121, 122, 123, 124, 125, 126, 127, 128, 129, 130, 131, 132, 133, 134, 135, 136, 137, 138, 139, 140, 141, 142, 143, 144, 145, 146, 147, 148, 149, 150, 151, 152, 153, 154, 155, 156, 157, 158, 159, 160, 161, 162, 163, 164, 165, 166, 167, 168, 169, 170, 171, 172, 173, 174, 175, 176, 177, 178, 179, 180, 181, 182, 183, 184, 185, 186, 187, 188, 189, 190, 191, 192, 193, 194, 195, 196, 197, 198, 199, 200, 201, 202, 203, 204, 205, 206, 207, 208, 209, 210, 211, 212, 213, 214, 215, 216, 217, 218, 219, 220, 221, 222, 223, 224, 225, 226, 227, 228, 229, 230, 231, 232, 233, 234, 235, 236, 237, 238, 239, 240, 241, 242, 243, 244, 245, 246, 247, 248, 249, 250, 251, 252, 253, 254, 255, 256, 257, 258, 259, 260, 261, 262, 263, 264, 265, 266, 267, 268, 269, 270, 271, 272, 273, 274, 275, 276, 277, 278, 279, 280 ve diğer çalışma kitabı sayfalarına buradan bakabilirsiniz.